For those in Wisconsin, this summer has been pathetic. It’s already August and there have only been a handful of days that make you so hot, the only thing you wish you had was an ice-cold drink. Well, to make up for mother nature’s shortcomings, I’ve starting enjoying those ice-cold refreshers anyway. Here’s an easy gin cocktail to enjoy two ways – with tonic or ginger beer. The ginger beer (which is non-alcoholic) adds some spice and sweetness; Todd prefers this. It reminds me of some Thai dishes that we make in the best way. 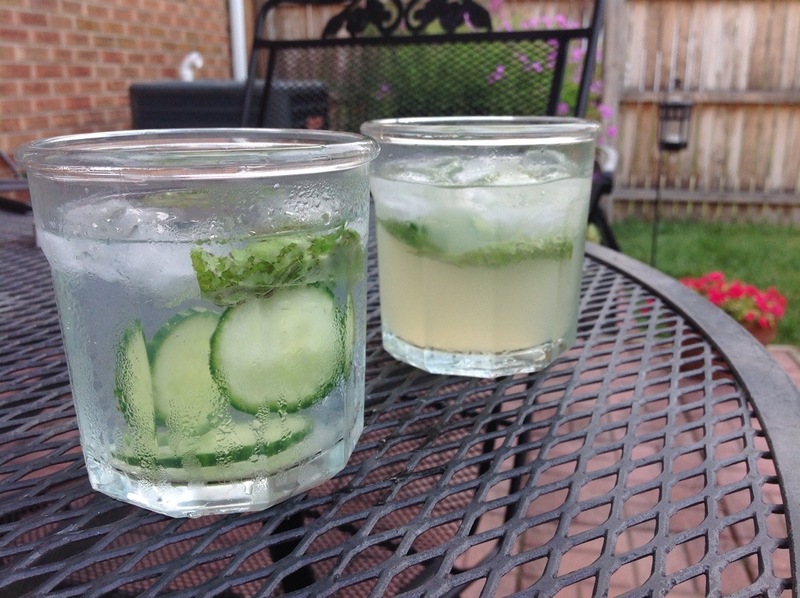 The tonic water tastes more like a classic gin and tonic with extra oomph from the cucumber and basil. Either way, you can’t go wrong. 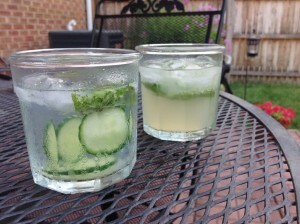 In a short glass, add the cucumber and basil leaves, and muddle well. You’re not looking for a pulp, but to release the flavor from the ingredients. Fill the glass with ice, add the gin and top with ginger beer or tonic. Squeeze the lime in, give a stir, and enjoy!